The first one was a lunch catch up with @elizacheng @kaerpediem and @khimgoh. 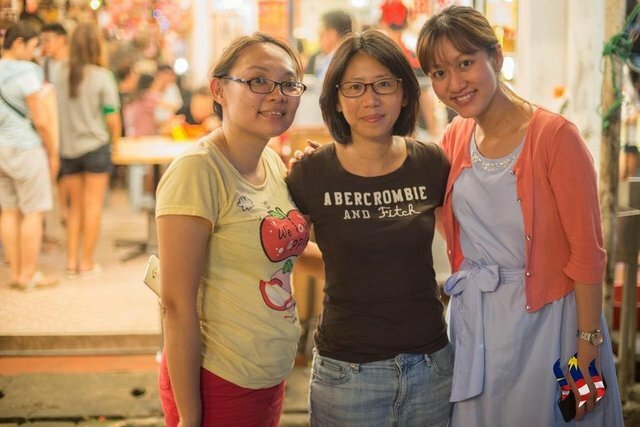 I first came across the two latter ladies when I was invited by Team MY recently to go on their weekly radio show to talk about my latest project @LadiesOfAsia. The girls had arranged to meet up for lunch already and @elizacheng ask if I wanted to join. I couldn't think of a reason not to. The point with meeting up for lunch is that you can sense the friendship that has developed between the girls, from an online virtual relationship to a real life "hey lets catch up for lunch next week" bond. You don't need a reason for a Steemit meet up. In fact, I could also sense the effort they made. @kaerpediem worked nearby but walked something like ten minutes in the hot scorching summer mid day. @elizacheng drove over in the rather notorious Friday traffic. And @khimgoh's company was moving office that day, everything was a bit chaotic as you can imagine. She was busy trying to sort out everything and was a bit late, but she still came, because … well I guess that's what friends do. I'm so privileged to be part of your little lunch catch up ladies, and thank you for treating me. The main meetup was the following evening, arranged by @elizacheng and @zord189. I was really looking forward to this as @jrvacation was coming over from Singapore as well. J from @jrvacation, @elizacheng and myself are all part of @LadiesOfAsia (there's 8 of us in total) so we were going to have our mini LOA meetup!!! Here's @elizacheng, myself, and @J from @jrvacation. At 7pm @elizacheng messaged me and said she'd arrived and was waiting for a table. I immediately went into panic mode. Wasn't dinner at 7.30pm?? Did I misread the message? Now I'm going to be late meeting my new friends!! How embarrassing!! Then she told me the restaurant didn't take reservations so she arrived a bit earlier to get a large table and order the food for us. Phew! And how thoughtful of her. When I arrived, @elizacheng was there was her eldest @halleyleow who look just like a mini @elizacheng. Then she introduced me to Isaac but didn't mention who Isaac was, maybe her husband? But I thought she said he wasn't coming. Then I realized he was @zord189!!! How was I supposed to know!! Anyway, it was great meeting him at last, as I already knew him from before #teammalaysia and he's the only person I have spoken to on Discord. 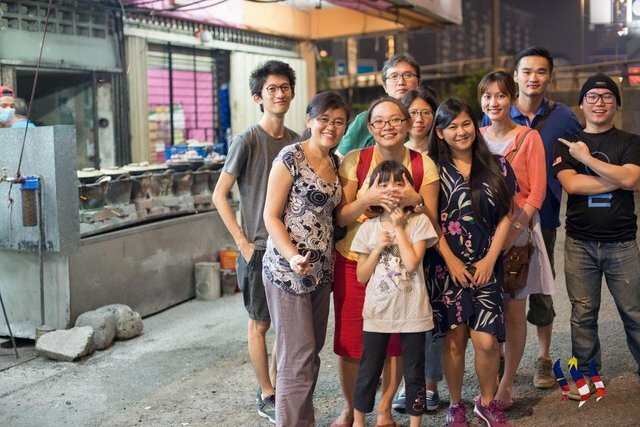 Then the rest of the gang arrived, @littlenewthings, @jrvacation (they're actually two in one if you don't know them), and @orangila, @aaronleang and @joannewong later on. 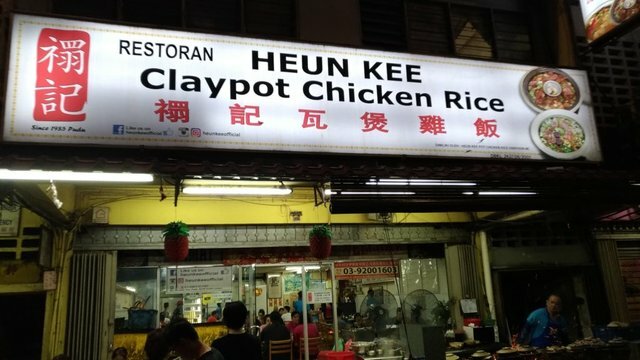 Dinner was at a local claypot rice restaurant somewhere. 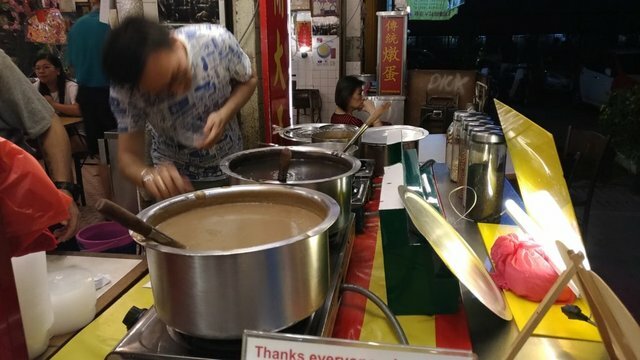 I'm told this is quite a rough and old area of town, yet this is where you get the best claypot rice in KL. 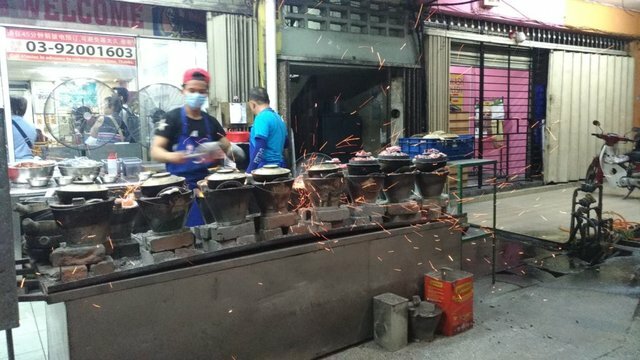 This is the outside of the restaurant and all the claypot rice is cooked on these charcoal stoves. Just look at the sparks from the charcoal stoves crackling away. You have the option of chicken and/or preserved meat as the topping. The yummy topping and the cooking method is what makes the rice so yummylicious (I stole this word off @elizacheng, just love it). 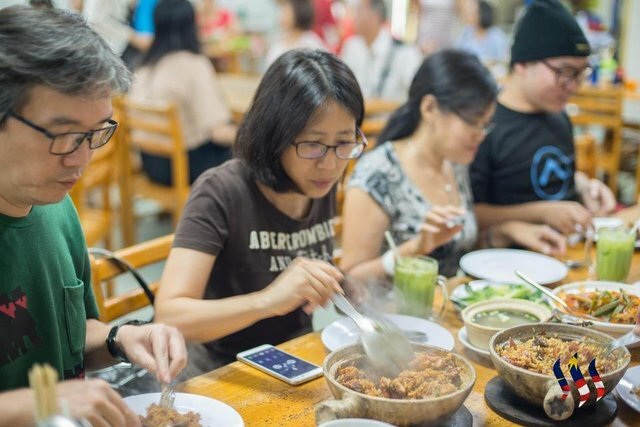 Each pot of rice takes about half an hour to cook and takes a lot of skill to perfect. You need to make sure all the rice is cooked thorougly but the outer layer lining the pot isn't burnt or too dry. Since @elizacheng got there a bit earlier, she had ordered the rice already, and by the time everyone had arrived and we had done with pleasantries and group photo, the rice was just ready. Perfect timing. The restaurant was very busy on the Saturday evening. Although the owner was very friendly, she started to give us subtle hints to leave once we were finished as the queue was building up outside. We were fine with that as we had plans for our next stop - dessert. 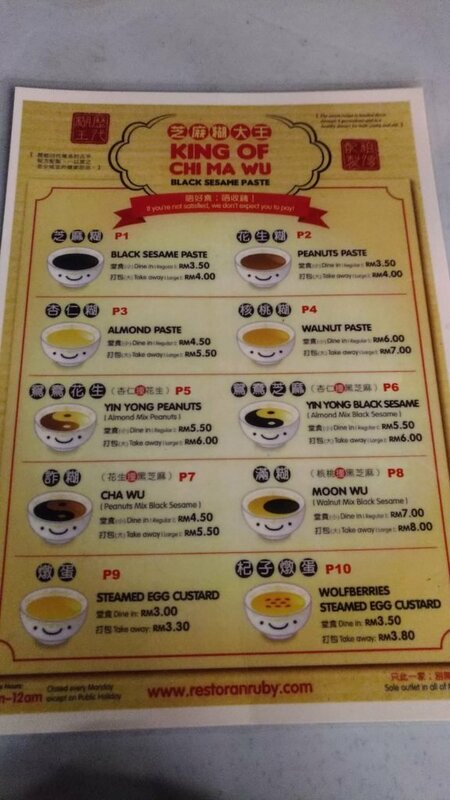 The shop is in its fourth generation now, they're so confident of their products that according to their menu, you don't have to pay if you're not satisfied. They call themselves the King of Chi Ma Wu (the Chinese name for sesame paste) and although I'm not normally a fan of sesame paste, I thought there's no way I'm going to pass on this. It was a thumbs up from me. 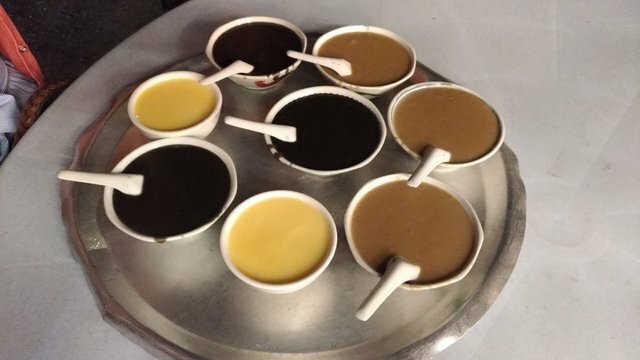 A couple of the others ordered a mixture of two paste and when they were served, we all whipped out our phones and camera again. 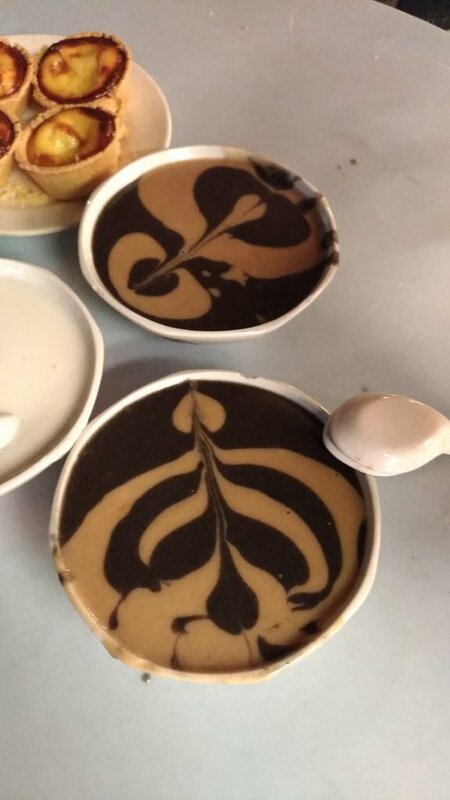 We've all seen latte art, but dessert paste art was definitely a first for many of us!! 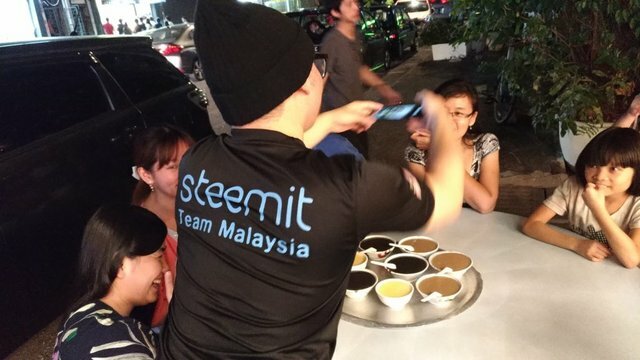 Before I went to Malaysia, I've heard of the famous meetups that #teammalaysia have. The multiple rounds of yummylicious food, the fun and banter and the great time they have. I'm so glad that I was able to join one of their gatherings. I think this photo sums up the great time we had that evening. Thanks #teammalaysia for your wonderful hospitality!! And also my latest project @LadiesOfAsia where we share fun and cultural diversity across Asia Pacific. So glad you met up I was going to suggest that you did! #TeamMalaysia rock.....#TeamTaiwan next! Need to get more Taiwanese on board first! Nice. Looks like fun. These photos are great! 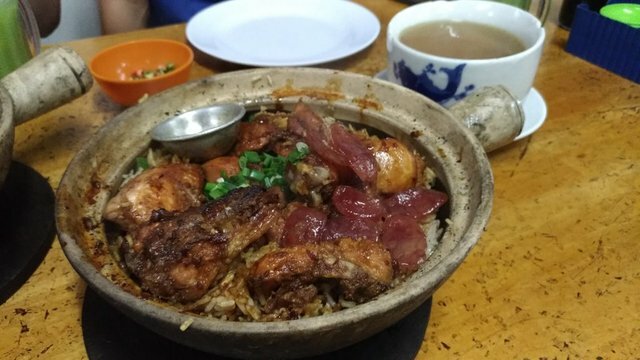 Whoa.. the claypot rice looks great. wonder how is it compared to HK.